Like every other fashion accessory, footwear are also an import part of dressing and styling. Many prefer to wear shoes matched with dresses and have hobby to collect multiple number of footwear. To cater this fascination for designer shoes, Ernakulam district has some of the best quality shoe stores which have products with great style but at reasonable and affordable prices. 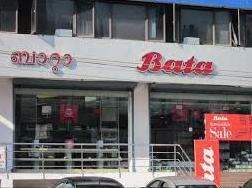 Some of the country renowned brands like Bata Shoe Store, Adidas Exclusive Stores are also present in the district along with many local product stores which have also earned a notable reputation with years of positive service. The collections of the shoe shops are excellent which makes it more attractive to the shoppers.